My name is Sara Rahman and I am a student going into my third year of University. Within my third year of university I will be studying Philosophy at City University Hong Kong. I officially leave for Hong Kong in under one week and if I’m honest the last few weeks have been really stressful. One example of a stressful yet funny experience was when I made an appointment with my local nurse to discuss the vaccinations I needed for Hong Kong. This doesn’t seem like too hard of a task right? Wrong. Naturally because I am terrified of needles I put making the appointment off for days… Okay weeks. Once I did make it to the GP, I was told by the nurse that I needed a Hepatitis B vaccination which was in the form of three injections (great). But, because I put off going to the GP for so long I didn’t have enough time to get all 3 injections, instead I only had enough time to get two injections and the third one will have to be in Hong Kong. This means no parent to hold my hand whilst I flinch every time the nurse comes near me with a needle. This story may seem funny now, but I promise you I wasn’t laughing in the GP’s office. You’ll find when you prepare to move out of your home country you’ll experience lots of stressful (yet hilarious) situations! ..So logically after feeling sorry for myself due to how stressed I was I decided to take a small day trip to Paris haha. 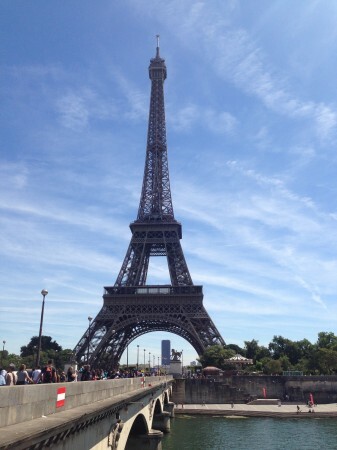 Needless to say Paris is absolutely beautiful! The day of eating famous French macaroons, running beneath the Eiffel tower and watching the sun set by the Sacré-Cœur most definitely soothed my mind. But now that I’m back I can continue preparing for Hong Kong! Over the next few months I hope to share my experience of living as a student in Hong Kong and also sharing my travels around Eastern Asia. The plan for now is Mainland China, Vietnam, Cambodia and Thailand, but let’s see where I’ll end up by the end of these 6 months!